On the day this little package arrived it was like winning the lottery, you could have sent me a brand new car and it wouldn't have caused a bigger smile. I mean seriously......how flippin gorgeous is this packaging? MOR design their packaging based on timeless designs from history and are so ridiculously pretty you wont want to hide them away. 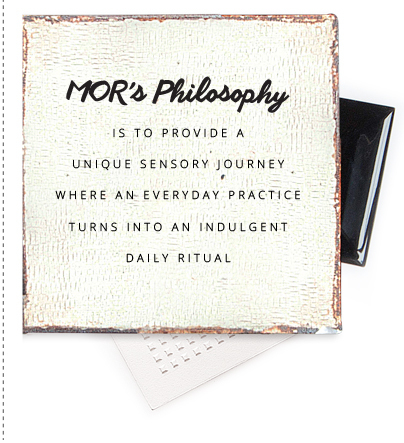 Established in 2001the Australian brand MOR aim to be leaders with their Bath, Body and lifestyle products and as such have introduced a range of " Little Luxuries" that are just perfect as travel sizes, or handy handbag sizes. I personally think these would make amazing little stocking fillers if we were even brave enough to mention the C word in this heatwave! Shown here are two of the Little Luxury range. The balm itself adds a gentle pale pink sheen while softening the lips. Marshmallow fragrance is a combination of Vanilla Musk and Jasmine Flower, Sugar dipped Rose petals with White Carnation and Cotton Candy, that combined give a beautifully sweet delicate scent. Housed in a gorgeous cardboard tube which is useful for protecting the fragrance from damaging light, this roller ball perfume oil leaves the skin feeling rejuvenated and soft to the touch. Top notes of White Carnation and Marshmallow ease into middle notes of Jasmine, Althea Flower & English RoseThe base notes of Sugar, Madagascan Vanilla & Snow Musk give the fragrance it's warmth and lasting power. On the subject of lasting power, a small amount rolled onto the skin lasts an absolute age, and if you needed a freshen up the glass bottle is an ideal handbag/travel size. You can probably see now why I adore these so much, they will 100% be in my hand luggage for my holiday. Made in Australia these products are not tested on animals. Post contains brand/agency samples unless stated, may contain affiliate links..